I'm very lucky, I enjoy my job - drawing cartoons, making animations and games - but when a parcel arrived for me in the office yesterday my day dragged on. It was my new ultra light 8' spinning rod and tiny fixed spool, front drag Mitchell - and it would be nearly 24 hours before I got to play with it. A second trip to Bury Hill, this time accompanied by Richard, and the aim was to try and get a few more zander in the bag before I hit running water, quiz Richard on all things zander and to hopefully find my five. On the bank before sunrise and once a ledgered roach section was cast out on one rod it was time to try and christian my new rod. I had to wait for my third retrieve before something slammed into the lure. Proper slam and great fight - and a 4lb 4oz zander, that's the way to do it! 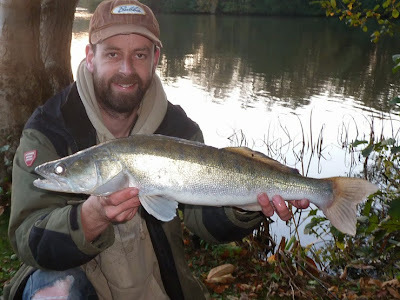 A couple of casts later a pike hit the lure but shook the hook free. Richard was next into the action steadily gaining line on what looked like a better zander - until the hook pulled, something that was going to become a bit of a theme. My ledger rod was away and it felt like a better fish and after putting up a good account of itself a 5lb 10oz zander was in the net. Got my five pounder - fantastic! 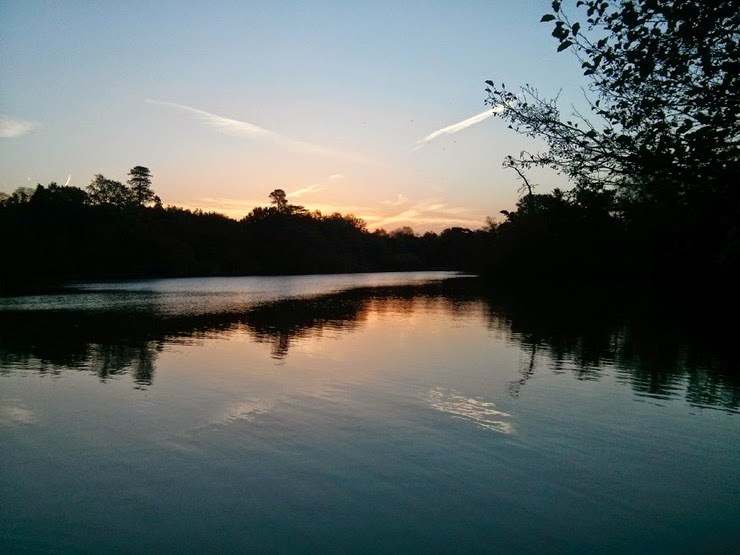 The morning feeding frenzy continued and we both lost a fish each to hook pulls - then the sun came up. The cloudless sky and bright conditions saw the runs dry up and the whole day was punctuated with a dropped run for Richard and me hooking into a fish that was on long enough for us to think the hook would hold before the line went slack - crap! 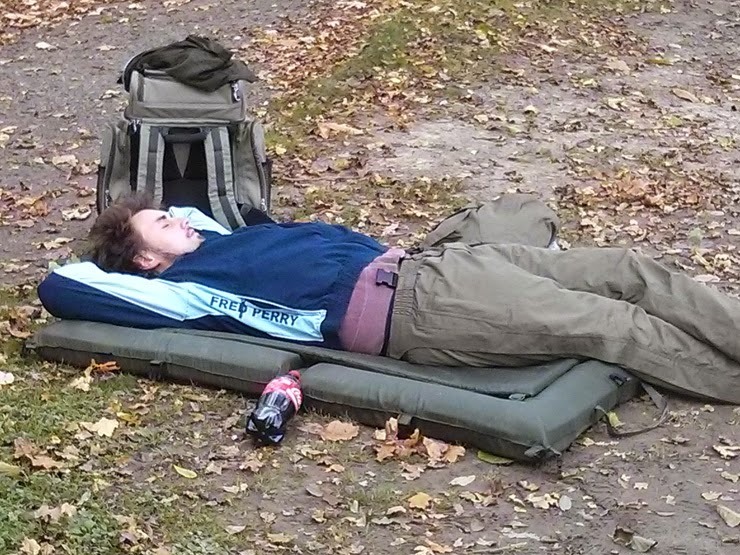 Photo above is of Richard snoozing on his unhooking mat. Yeah, unhooking mat! No harm in thinking big! It wasn't until the day was heading towards close and the sky got darker that a run on Richard's rod signaled they might have switched on again. 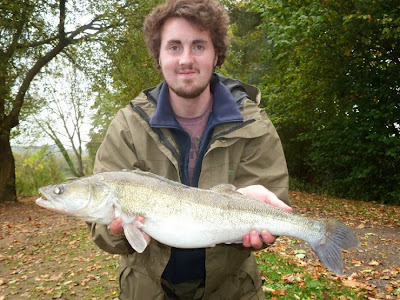 A careful fight and Richard's prize was in the net, a 5lb 14oz zander. Great, we'd both caught and both caught a five! They had switched back on and a few dropped runs and hook pulls later I connected the this scrappy zed of about 2lb, another zander in the books. 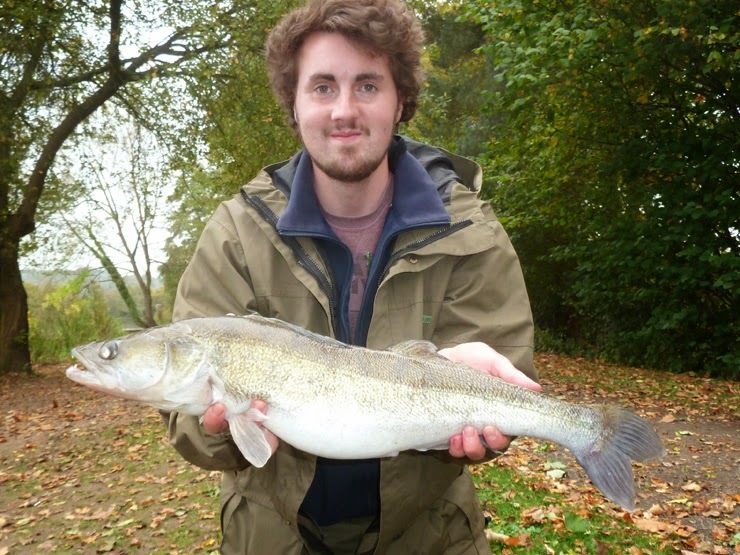 And Richard wrapped things up with this 4lb 8oz fish. We really didn't want to leave! A tough trip and the conditions were against us most of the day - but 5 zander between us and a five pounder each - I call that a result! Lure that caught was a 4" Storm Shad fished very slowly. 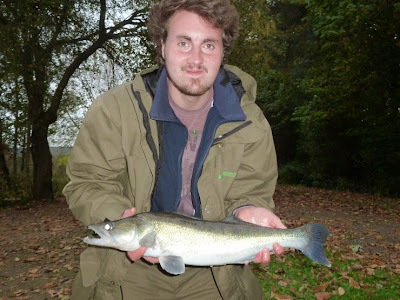 All others were caught on ledgered roach section, with the tail proving to be the best on the day. 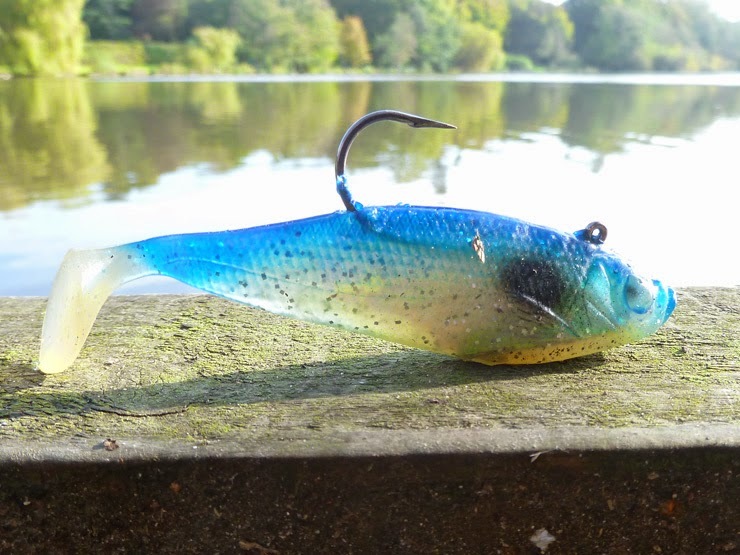 Bait stops (elastic band) weren't needed. Thank you to everyone who gave advise after the last report, very much appreciated. I want to go !. I should re -phase that....I am going next Thursday, day blocked off for some un-relenting Zander fishing, it's not the Zander I object to but the amount it costs, a day on the Royalty...£12.50 for the day 2 rods is just scratching the surface, but these Zander have to be caught and as Jeff Hatt said once, and I quote "he could just go Bury Hill and catch a double but instead choosing to fish the cov' canal for Zander a third of the size just for a PB", well Bury Hill has now got my attention, just so happens that you guys are catching Zed's has heightened my attention to the fishery, just praying for an overcast day, such a shame it was sunny for most of the day for ya both. 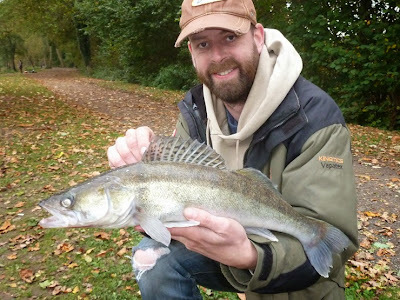 J.
I agree, £13 train, £18 for two rods and £5-£10 for bait it's not a cheap day. 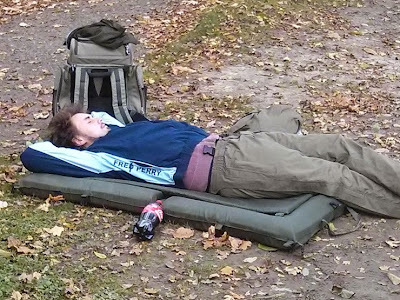 Plus a taxi from the station, we walked but 3 miles uphill is a long way with heavy kit, especially if you're carrying the world's biggest unhooking mat! Good luck on Thursday, hope you get your overcast day - us fishermen are a funny bunch! Hoping to get a day off next week, so I might even come and join you. You seem to have become very familiar with zander really quickly. 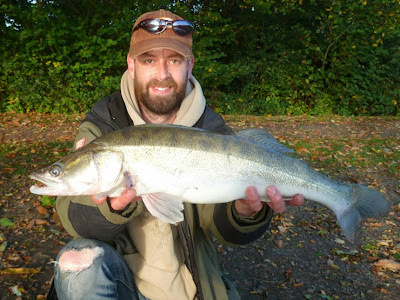 The previous post showing the bait and riggings you used, as well as other zander angler's feedback was particularily interesting - thanks for sharing.